Assembled by Valdani specifically for Bonnie Sullivan. 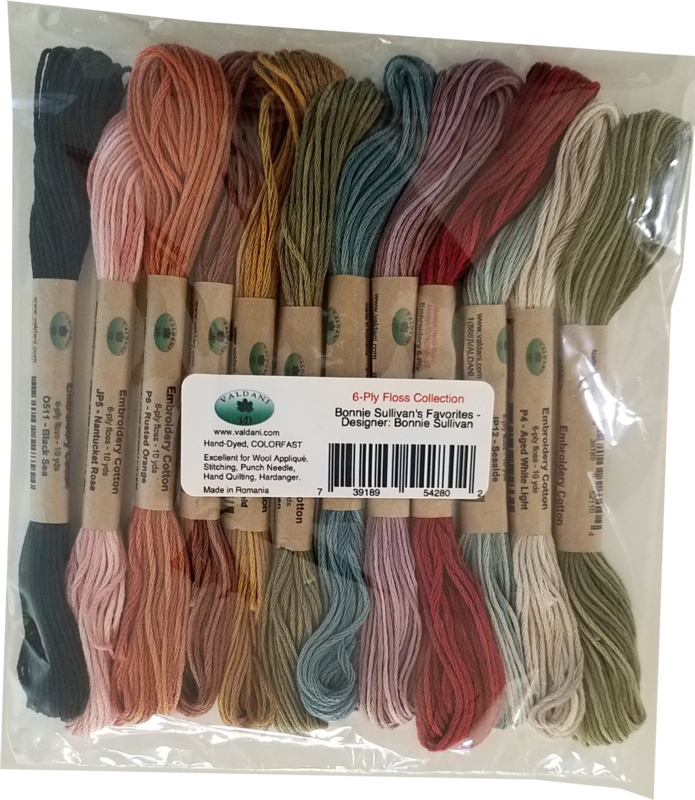 Bonnie's Favorites 6-Ply Floss variety pack includes 12 different shades. Excellent for Wool Applique, Stitching, Punch Needle, Hand Quilting and Hardanger.